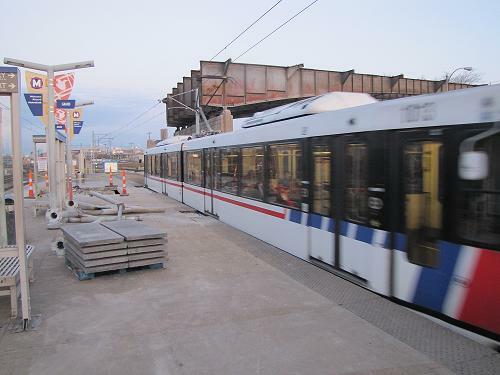 RIDER ALERT: Construction work on the Grand Bridge continues to require Metro to use the Union Station MetroLink Station as the closest place to board to access locations closest to Grand Avenue. The #70 Grand MetroBus will then continue to reroute to Union Station. 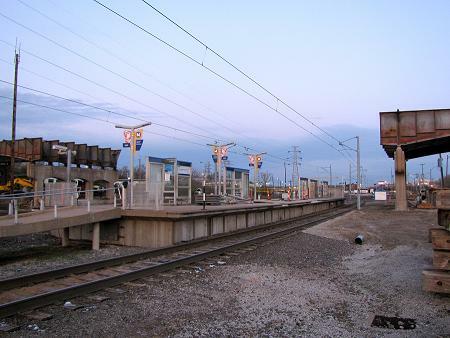 Current estimates are Metro will return to the Grand MetroLink Station in April. We will announce the station opening as soon as information is available. 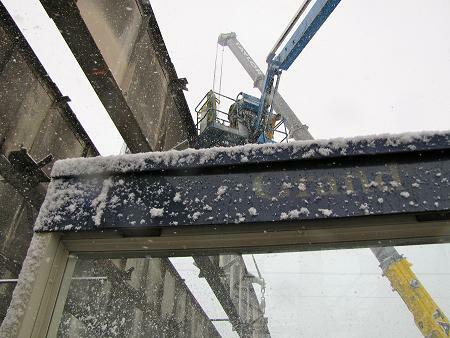 It still makes me wonder how the platform was unharmed in this demolition (including the elevators. Do you have any more pics of the 3800, and 3900 buses? 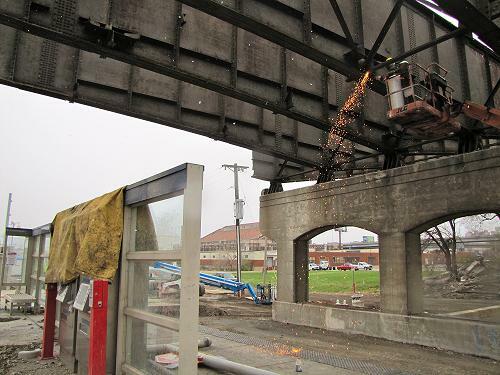 The elevators were actually demolished along with the Bridge. They will be replaced as part of the new Grand Bridge. 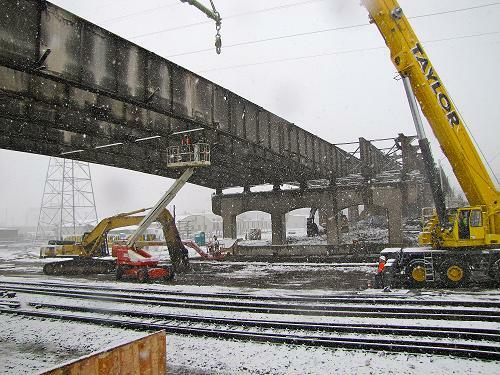 Other things were covered with tarp or wood, but also some care was taken to protect the tracks during demolition, from what I saw. I will look to see what I have in terms of bus photos. Is there any chance a construction cam can happen? I’d LOVE to see the changes on a daily basis without having to drive all the way into the city just to check it out all the time! There is a construction cam on the website for City’s construction contractors: http://www.kozenywagner.com/ and Metro will likely have a time-lapse camera mounted when construction begins on the Scott Transit Plaza. Thank you for the Construction Cam link!